When you open your eyes in the morning, when your head hits the pillow at night, and with each breath of your day, she’s all you can think about. 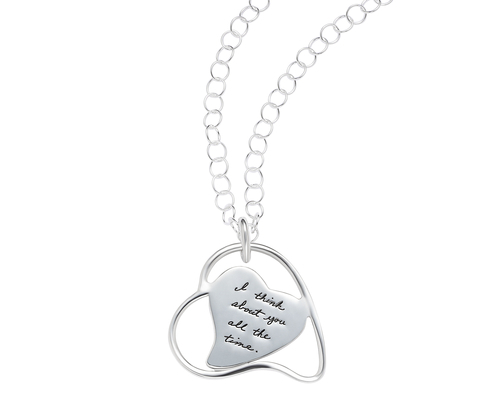 Let her know your feelings shine as bright as this hand-polished sterling silver pendant. The heart within a heart shape will remind her that she holds your heart and your heart beats for her.